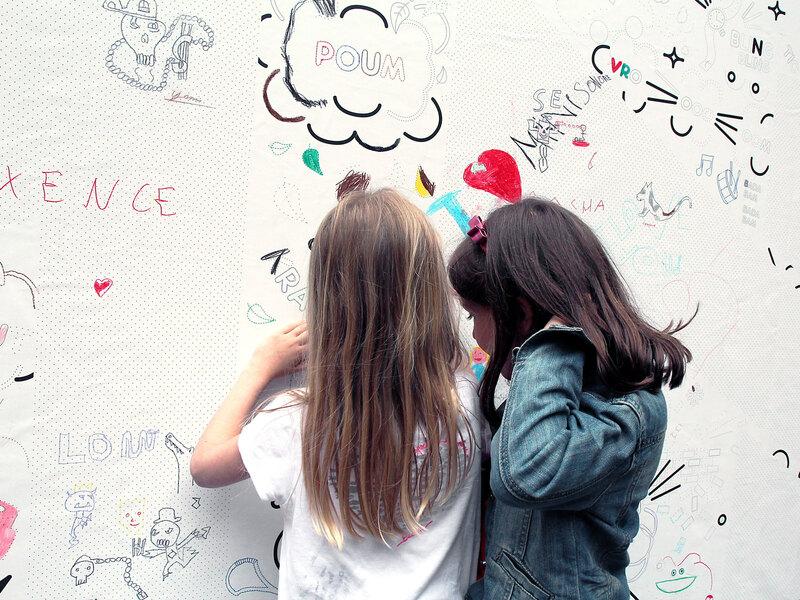 Nuits sonores - Kids at work! 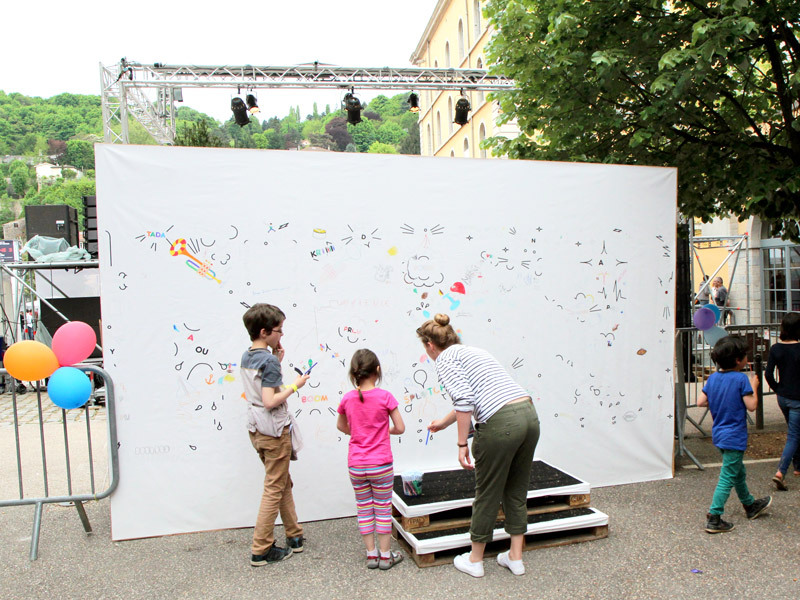 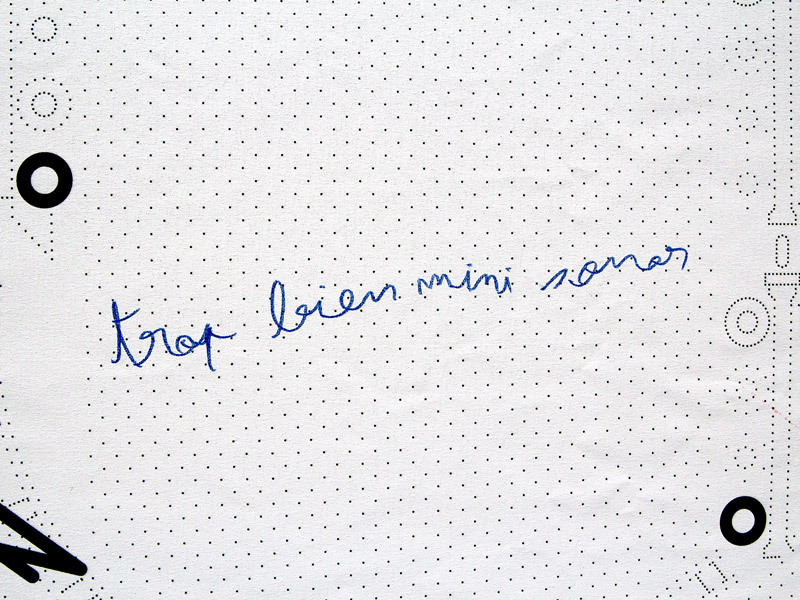 In 2013, the electronic music festival 'Les Nuits Sonores' (Lyon, fr) invited Kidnap Your Designer studio to make an installation in the kids' area entitled 'Les Minis Sonores'. 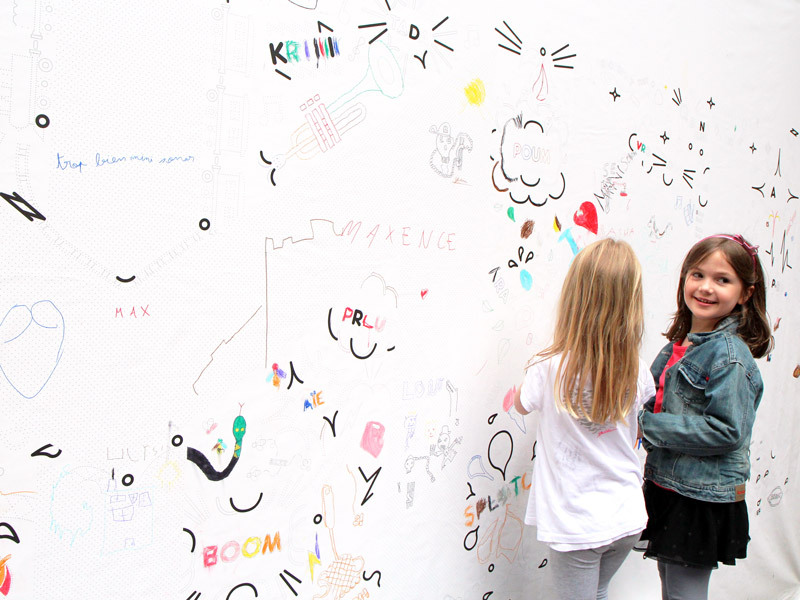 With the studio, we decided to make a drawing wall for the kids. 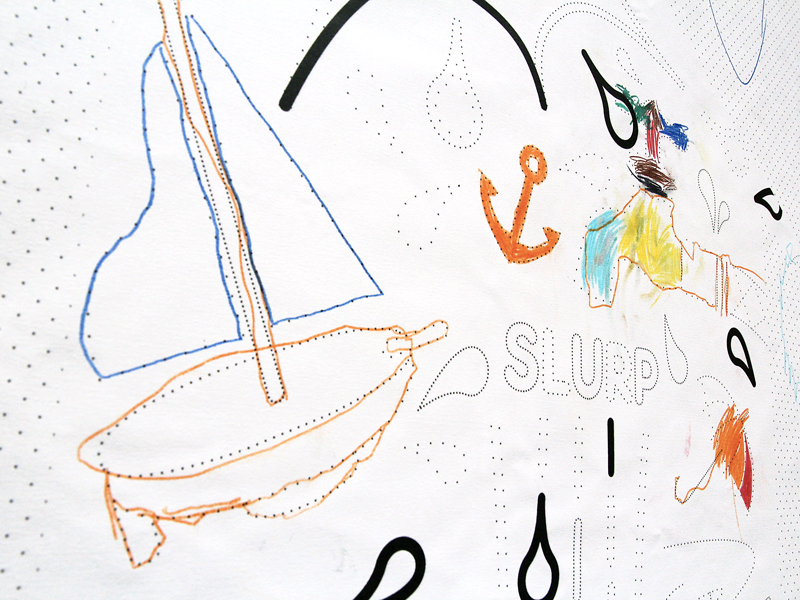 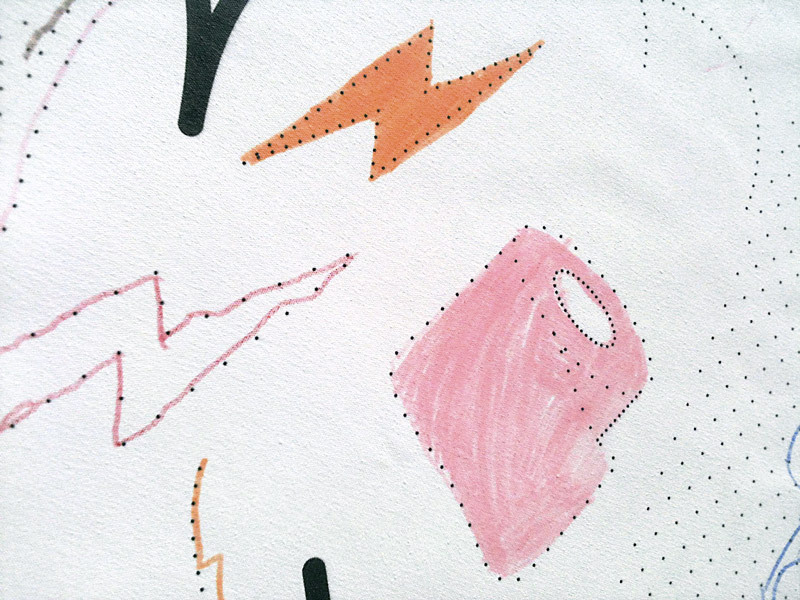 For this project, I designed a grid of dots with half-drawn illustrations and typographic elements. 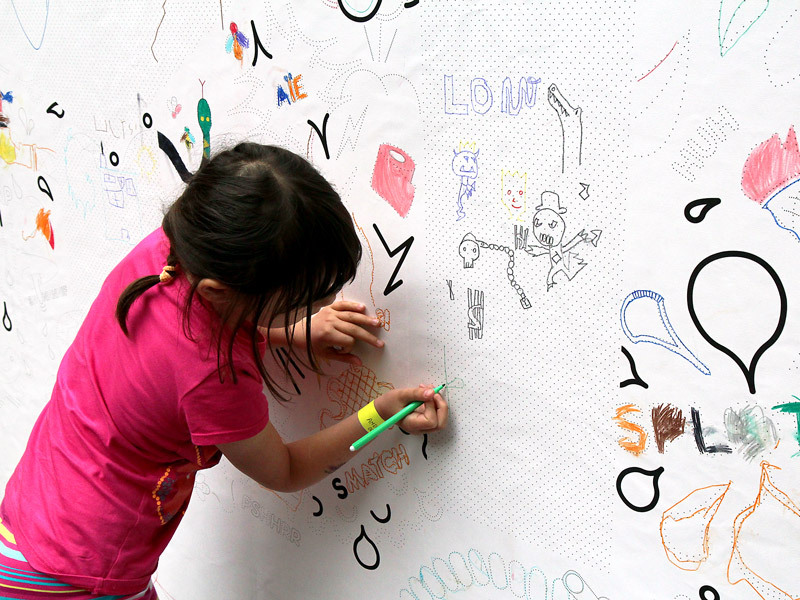 Then, the kids had to link them, fill them up or draw anything they want! 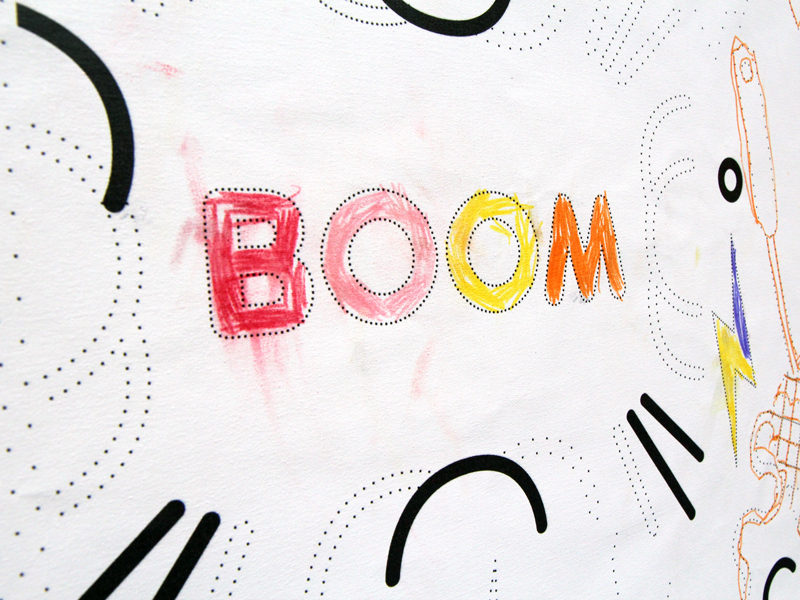 Sounds, Belgian comics and BOOM!